The WWABFM LLC handles production and promotion; as with other significant motoring events, we ensure that the legal and business details of the event–including licensing, taxation, banking issues and, of course, liability–are taken care of. 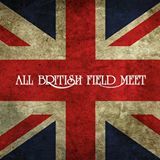 With the financial backing of Clubs, Sponsors and Advertisers, and the assistance of dedicated volunteers from many of the clubs the group works hard to plan and deliver the All British Field Meet. With leadership by the Board of Directors our group is all “British” inclusive and consists of British car enthusiasts who share your passion and the joys and hardships of “Little British Car” ownership–while also bringing their expertise in event organization and coordination to the team. Our objective is to build on the superlative work and effort of the show’s founders and history of organizers, and ensure their legacy and efforts remain unbroken. While maintaining that tradition, we are actively working towards enriching your ABFM experience so it is carried on.